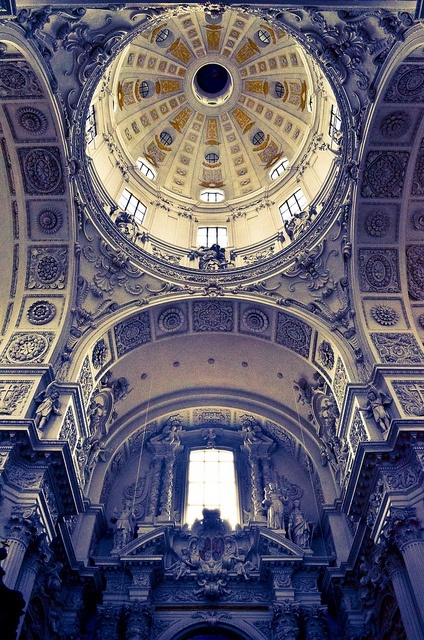 The Theatine Church of St. Cajetan is a Catholic church in Munich, southern Germany. Built from 1663 to 1690, it was founded by Elector Ferdinand Maria and his wife, Henriette Adelaide of Savoy, as a gesture of thanks for the birth of the long-awaited heir to the Bavarian crown, Prince Max Emanuel, in 1662. The church was built in Italian high-Baroque style, inspired by Sant'Andrea della Valle in Rome, designed by the Italian architect Agostino Barelli. His successor, Enrico Zuccalli, added two towers, originally not planned, and then finished the 71 meter high dome in 1690. The facade in Rococo style was completed only in 1768 by François de Cuvilliés. Its Mediterranean appearance and yellow coloring became a well known symbol for the city and had much influence on Southern German Baroque architecture.